In honor of May’s official birthstone, we’d like to share with you the unbelievable saga of the $400 million Bahia Emerald, which is actually an 840-pound host rock protruding with emerald crystals weighing 180,000 carats. One of the many crystals in the formation is the thickness of a man’s thigh. 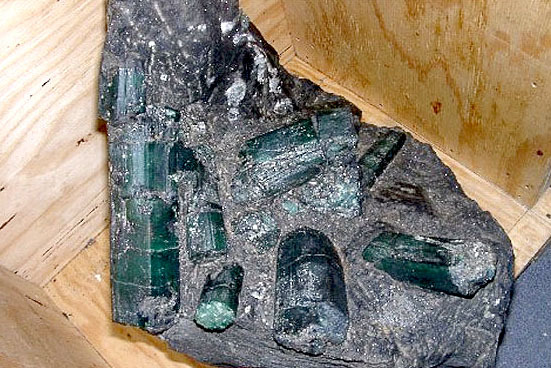 Some say it’s the largest and heaviest emerald ever found, but instead of residing in a famous museum or the showcase of a billionaire, the Bahia Emerald awaits its fate in a secured vault at the Los Angeles County Sheriff’s Department while a complex custody battle winds its way through the California legal system. The Bahia Emerald’s story is so bizarre and compelling (the mammoth rock spent two months underwater thanks to Hurricane Katrina during an ill-timed visit to New Orleans in 2005) that the National Geographic Channel aired an hour-long documentary about it back in January of 2012. Unearthed in Brazil in 2001, the rock has been a magnet for trouble starting the day it was pulled from the remote Bahia Mine and carried out of the rain forest by a team of pack mules. According to the National Geographic documentary titled, “$400 Million Emerald Mystery,” the mules were attacked and killed by a pair of black panthers, so the hefty Bahia Emerald had to be lugged by a crew of men using a handmade stretcher. The Bahia Emerald was flown from Brazil to its new home in California, but in 2005, the rock made a special trip to a secured vault in New Orleans so that a prospective buyer could view it. Hurricane Katrina struck two weeks later, leaving the vault and The Bahia Emerald under 16 feet of water. It took two months before it could be retrieved. Although the city was devastated, the rock came out unscathed. 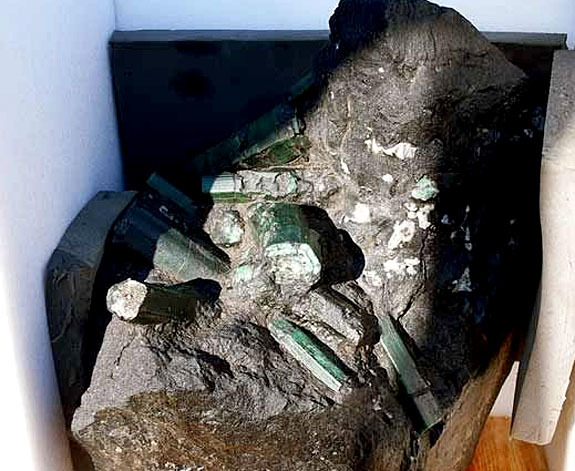 Legal possession of the Bahia Emerald has changed hands several times, according to the official website for the rock. 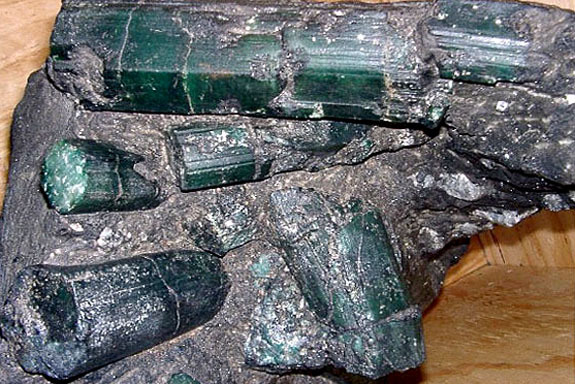 In one such instance, the Bahia Emerald was used as collateral for a cache of diamonds that failed to materialize. The owner of the diamonds claimed that he had been kidnapped by the Brazilian mafia, held hostage in an RV, and driven around Nevada for two weeks. The stone was subsequently reported stolen in September 2008 from a secured vault in South El Monte in Los Angeles County, but was soon seized in Las Vegas by L.A.P.D. 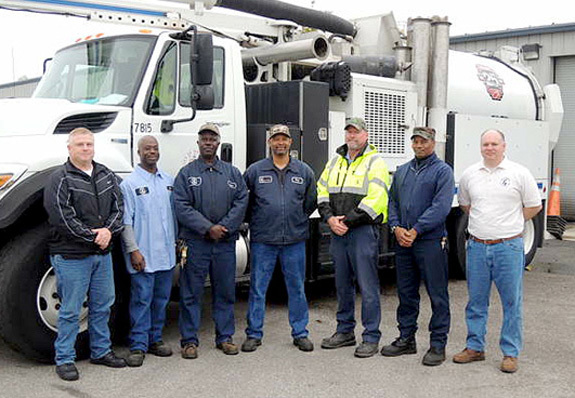 authorities after acting on a tip. According to some reports, the Bahia Emerald was even involved in a $197 million banking transaction with the notorious Bernard Madoff before he was arrested for committing the largest financial fraud in U.S. history. In protracted court battles, a whopping eight individuals laid claim to the Bahia Emerald. All parties have negotiated settlements with the exception of one — Anthony Thomas, who claims to have purchased the Bahia Emerald in 2001 for the sum of $60,000. The Bahia Emerald is now famous for being embroiled in one of the largest custody/lawsuits in California history. It's still not clear who will get to keep the rock and where it will end up. With summer vacations right around the corner and surveys showing that two out of three travelers are likely to bring their jewelry on vacation, we have fresh information and expert advice on the best way to take your precious possessions through airport security. 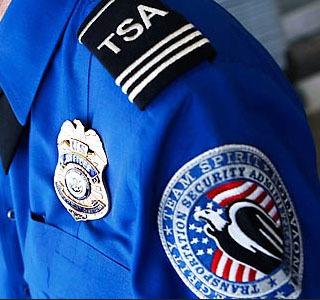 In most cases, it’s perfectly OK to wear your fine jewelry through the checkpoint station instead of removing it, according to Bob Burns, the official blogger for the U.S. Transportation Security Administration (TSA). In a Tuesday blog post, Burns advised that as long as the jewelry is not really bulky, travelers should keep their precious possessions on their bodies as they walk through metal detectors or high-tech imaging devices. 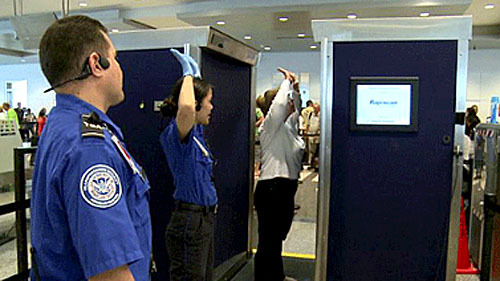 Burns said that in some cases, the security officer would ask the traveler to take off the jewelry. In that scenario, the traveler should avoid putting her valuables in the plastic bowls that typically hold smaller items such as pocket change and money clips. Instead, the fine jewelry should be placed in a carry-on bag. “Bowls have been known to tip over on conveyor belts, seemingly sending small jewelry into another dimension where it is never seen again,” Burns quipped. 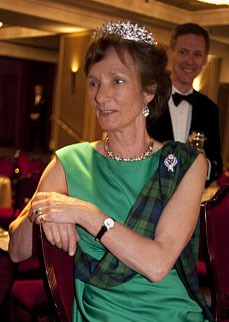 Back in 2006, the Duchess of Argyll was flying back to Glasgow, Scotland, after a short stay in London. The 68-year-old dowager duchess had checked a bag containing more than $150,000 worth of jewelry, including a Victorian diamond tiara, Cartier brooch, emerald ring and pearl earrings. Yes, the bag was lost. The Duchess filed a complaint with the airport and police authorities, but the bag was never turned in… or at least that’s what the Duchess believed. Apparently, the bag did resurface, but the airport auctioned the jewelry instead of making any effort to return the items to their rightful owner. The jewelry had been unloaded to a British diamond merchant for a mere $7,500 (exactly 5% of their value) and the proceeds were donated to charity. In 2012, the Duchess spotted her Cartier brooch in a Scottish auction catalog and promptly hired a lawyer to investigate. Airport authorities were embarrassed by a lost-luggage saga with high-profile implications. Welcome to Music Friday when we bring you great songs with jewelry, gemstones or precious metals in the title or lyrics. Today's song, "Black Diamond," is a favorite of Kiss fans because it was often played to triumphantly close the band's concerts. Written by the band's rhythm guitarist Paul Stanley, "Black Diamond" was the final track of Kiss, the successful debut album released in 1974. The song features a sweet sounding acoustic intro sung by rhythm guitarist Stanley before transitioning to a rocking riff by drummer Peter Criss on lead vocals. 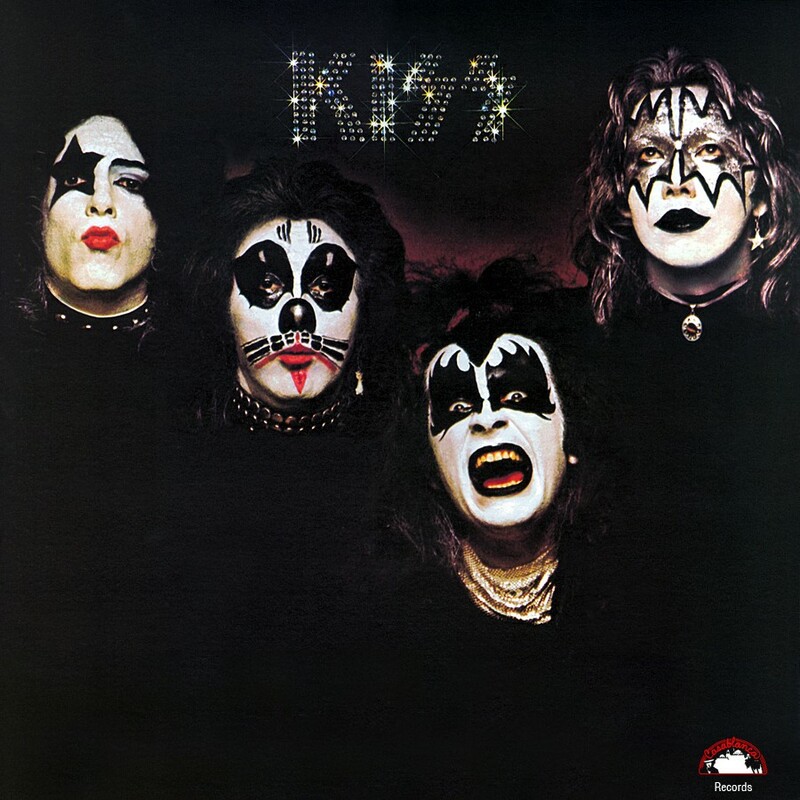 Known for black-and-white face paint and comic-book stage outfits, the original band members were Paul Stanley (Starchild), Gene Simmons (The Demon), Ace Frehley (Spaceman or Space Ace) and Criss (Catman). Kiss is credited with worldwide sales of more than 100 million albums, spanning five decades. The band's original members joined for a reunion tour in 1996. It was the top-grossing act in 1996 and 1997. Enjoy our 1970s Kiss flashback. The lyrics are below if you'd like to sing along. Don't forget to see the video from the band's 1975 appearance on "The Midnight Special." Written by Paul Stanley. Performed by Kiss. An ultra-rare 100-year-old U.S. nickel that was illegally produced by a Mint employee and once declared a fake fetched $3.17 million at auction recently, more than $600,000 above the pre-auction estimate. The coin — a 1913 Liberty Head nickel — pulled top dollar because it claims a wild history filled with drama, intrigue, criminal activity, tragedy and an unlikely happy ending. 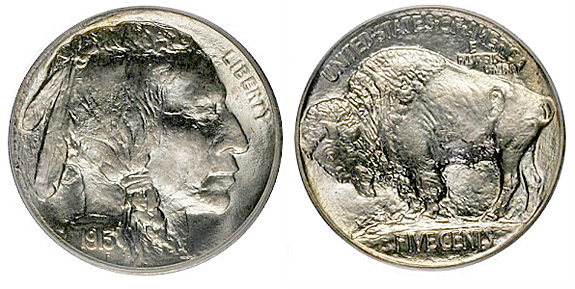 Coin collectors know that 1913 was the year the popular Buffalo Head nickel was introduced, taking over for the Liberty Head that was in circulation from 1883 until 1912. So where did the 1913 Liberty Head come from? The short answer is that it was created without the blessing of the U.S. government. Legend has it that Samuel W. Brown, a Philadelphia Mint employee, surreptitiously and illegally struck the Liberty versions by altering the die of the 1912 version to achieve the 1913 date. Only five are known to exist, making it one of the rarest coins in the world. The illegally cast nickels were exposed to the public for the first time in 1920, when Brown offered them for sale at a numismatic convention. Because the statute of limitations had run out, Brown was able to sell the illicit coins. The five coins remained a set until 1942, when a North Carolina collector — George O. Walton — bought a single 1913 Liberty Head nickel for $3,750, according to the Associated Press. Walton had the coin in his possession when he was killed in a car crash in 1962. The valuable coin was among 400 that dotted the crash site. Walton’s sister, Melva Givens, inherited the coin, but got bad news when an appraiser told her the coin was a fake because it looked as if the date had been altered. Presumed worthless, the coin ended up in a box at the back of Givens’ closet for the next 40 years. Upon his mother’s death, Ryan Givens brought the coin to the 2003 American Numismatic Association World's Fair of Money, where the other four 1913 Liberty Head coins were on exhibit. There he learned that the coin wasn’t a fake at all. 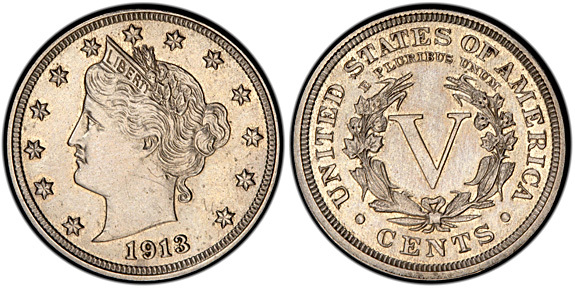 It was clear that all the 1913 Liberty Head coins had the same imperfection under the date. A team of rare coin experts concluded it was the long-missing fifth coin. Even though Givens and his three siblings are now enjoying a multi-million-dollar payday, Givens has mixed emotions about parting with the coin. "I guess I still feel kind of sad about it and I'll probably feel that way for a while," Givens told ABC2News.com. "It's been in the family for so long." Givens’ sister, Cheryl Myers, said, “The money is definitely nice. We started with a nickel yesterday morning and now we have $2.7 million." The auction house earned more than $400,000 in sales commission. 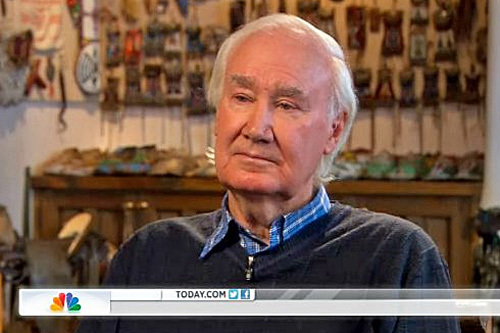 Eccentric multi-millionaire Forrest Fenn has sparked a mini gold rush in the mountains north of Santa Fe, NM, as amateur and professional treasure hunters follow his clues to find a buried treasure chest that contains gold nuggets, gold coins, rubies, diamonds, sapphires, historical jewelry and a micro-sized copy of his biography. Motivated by a cancer diagnosis that gave Fenn only a few years to live, the former art dealer and gallery owner decided to make this treasure hunt his legacy. 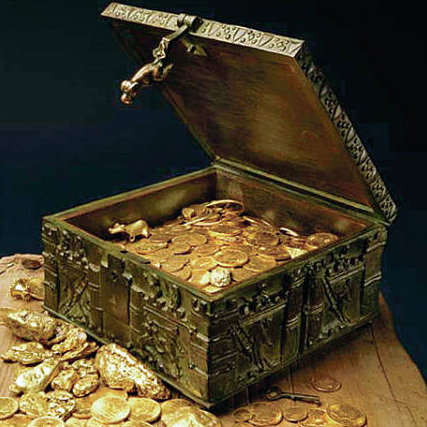 The 82-year-old hoped that the treasure said to be worth $1 million would inspire people, particularly children, to get away from their texting devices and look for adventure outdoors. Fenn’s self-published 2011 memoir, The Thrill of the Chase, recounts his rags-to-riches story and includes a 24-line poem (seen below) that contains nine vital clues — that when cobbled together — will lead to the trove. Fenn, whose cancer diagnosis was 20 years ago, is reveling in the buzz generated by his story. He’s been featured in the national media, sparking a rush of treasure-hunting hopefuls heading to the mountains north of Santa Fe. He reported having received 13,000 emails from treasure hunters, as well as 18 marriage proposals. Could this all be a publicity stunt to sell a lot of books? 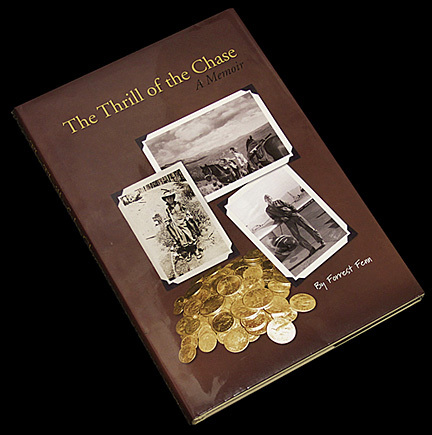 According to novelist Doug Preston, Fenn’s treasure is the real deal. "I've seen the treasure. I've handled it. He has had it for almost as long as I've known him. It's real. And I can tell you that it is no longer in his vault," Preston told The Huffington Post. Clue #10: The treasure is hidden higher than 5,000 feet above sea level. Clue #11: No need to dig up the old outhouses, the treasure is not associated with any structure. I've done it tired and now I'm weak. 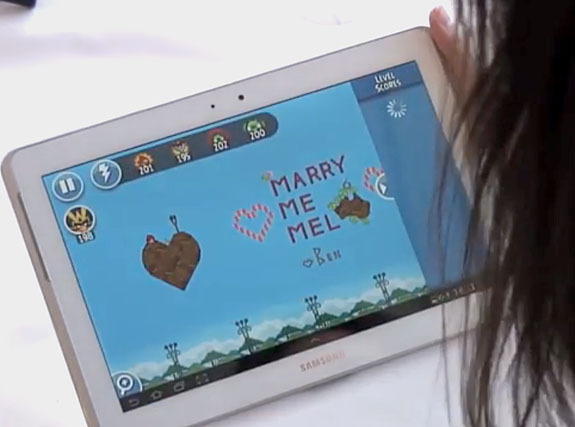 In the exasperating competition for her fiancé’s attention, Aussie Melissa Swift admitted she was no match for Angry Birds, the wildly popular video game where players use a slingshot to launch wingless birds at pigs. No matter how much she protested, Swift couldn’t get her 30-year-old boyfriend, Ben Levi, to stop playing the game. "We'd be watching TV and he'd be playing Angry Birds," the 24-year-old Swift told The Huffington Post. "We'd be out to dinner with friends like civilized people and you've got Angry Birds going on under the table." The situation looked bleak, as Swift became an “angry bird” herself, defined in the Urban Dictionary as an annoyed girlfriend whose boyfriend is addicted to the Angry Birds game. 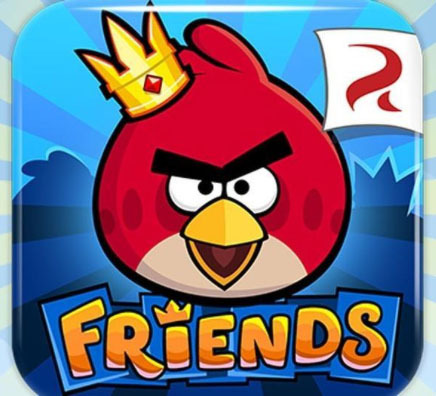 The bane of her existence resurfaced last month, when Levi asked his girlfriend to try out the new Angry Birds Friends game on his tablet during a lunch date at a local restaurant. Reluctantly, Swift agreed and started launching birds. What Swift didn’t know was that her clever boyfriend had contacted Rovio Entertainment, the creator of Angry Birds, and asked if the company’s creative team could prepare a custom level with a special message for his fiancée. To his surprise and delight, the Finland-based company agreed to his request. Over the next few months, Rovio representatives worked with Levi to create a unique and unforgettable marriage proposal. "I think I would have been less surprised had I seen a flying pig," Swift told The Huffington Post. "I remember looking at it and not really comprehending what it meant. He was down on one knee and it just all fell into place and I just started crying… It was just unbelievable." The whole scene was captured by hidden cameras set up by the video game company, which produced the video at the end of this post. Swift has a new appreciation for Angry Birds, telling The Huffington Post, "It took Angry Birds to finally get him to propose. I love them. Nothing else would motivate him, but Angry Birds did it, so I'm forever grateful." Is this couple destined to have an Angry Birds-themed wedding? We wouldn’t bet against it. The world’s largest flawless briolette diamond will hit the auction block at Christie’s Hong Kong Magnificent Jewels sale on May 28. 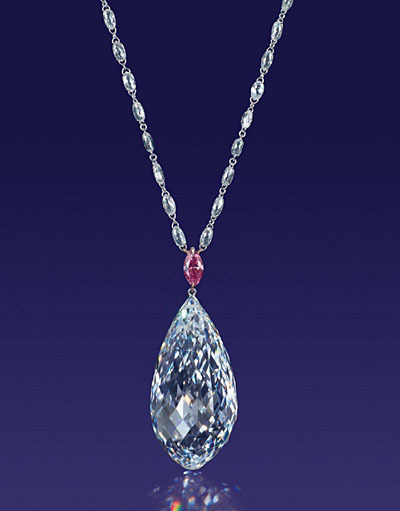 Estimated to fetch between $8.5 million and $12.5 million, the fabulous 75.36-carat, D-color wonder is part of a pendant necklace that includes a marquise-cut purplish-pink diamond suspended above the briolette. Stations of smaller briolettes adorn the 18-karat white and rose gold neckchain, which is adjustable. The briolette diamond is so perfect that it earned the top quality grade of Type IIa from the Gemological Institute of America. The grade reflects its flawless clarity, excellent polish, chemical purity and exceptional transparency. Other famous Type IIa diamonds include the 530.2-carat Cullinan and the 105.6-carat Koh-i-noor. Legendary diamond cutter William Goldberg started with a 160.5-carat rough diamond and lost more than half the stone’s weight as he shaped it into the world’s largest and most perfect briolette — an symmetrical shape that resembles a water drop. Comprising more than 290 lots, the May 28 Christie’s auction is expected to generate more than $74 million in sales. Welcome to Music Friday when we bring you sensational songs with jewelry, gemstones or precious metals in the lyrics or title. 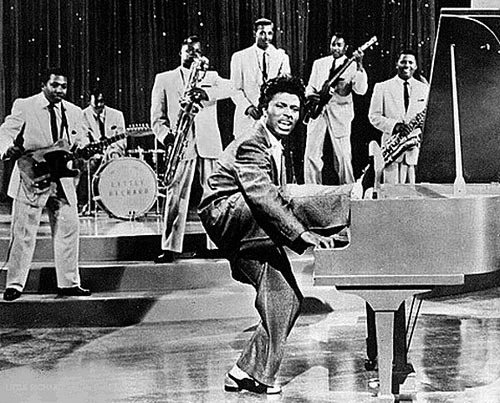 Today's song takes us back to the early days of rock and roll — a time of car hops, drive-in movies and Little Richard dominating the airwaves with his smash hit, "Good Golly Miss Molly." In the 1958 song, Little Richard sings about the free-spirited Molly, who loves to dance from the early morning to the early night. When she's rockin' and a rollin', she can't hear her mama call. Little Richard's got big plans for Molly, including a marriage proposal. And this is where the jewelry reference comes in: "Goin' to the corner, gonna buy a diamond ring. When she hugs me her kissin' make me ting-a-ling-a-ling." "Good Golly Miss Molly" is considered a rock and roll standard and was ranked #94 on Rolling Stone magazine's list of the 500 Greatest Songs of All Time. It's been covered by hundreds of artists, including Creedence Clearwater Revival, Jerry Lee Lewis and Bruce Springsteen. As a rock and roll pioneer, Little Richard embodied the spirit and energy of the new genre more than any other performer. Born Richard Wayne Penniman, the 80-year-old Little Richard became a member of the Rock and Roll Hall of Fame in 1986. Enjoy the video montage at the end of this post. The lyrics are below if you'd like to sing along. Written by John Marascalco and Robert "Bumps" Blackwell. Performed by Little Richard. A-when you're rockin' and a rollin', can't hear your mama call. Goin' to the corner, gonna buy a diamond ring. Los Angeles Angels pitcher C.J. Wilson is living the dream. 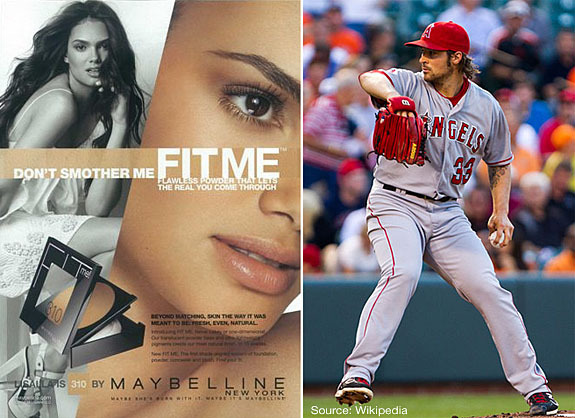 He signed a $77.5 million five-year contract before the 2011 season, stars in a Head & Shoulders commercial, won a Grand-Am road race in March, and proposed to the beautiful Brazilian supermodel Lisalla Montenegro on Wednesday. The 25-year-old Montenegro, who is currently the face of Maybelline cosmetics, announced the engagement and showed off her eye-popping engagement ring via her Twitter account. The diamond is an impressive princess-cut stunner complemented by a prong-set diamond band. Montenegro wrote: “I literally can’t have imagined a more perfect proposal. So excited to marry @cjwilsonphoto !!! #Engaged !!!! Montenegro was born and raised in Goias, Brazil. After winning the Miss Goias competition, the brunette was encouraged to travel to the U.S. to pursue a modeling career. Soon she was a walking the runways for top brands, such as Michael Kors, Hermes and Victoria’s Secret, and gracing the pages of leading magazines, such as Sports Illustrated, Italian GQ and Cosmo Girl. The 32-year-old Wilson is 3-2 with a 3.88 ERA for the Los Angeles Angels after losing last night to the Chicago White Sox. When he’s not striking out opposing batters, the two-time all-star finds time for another passion — car racing. In March, Wilson became a winning team owner in Grand-Am road racing when C.J. Wilson Racing won the Circuit of the Americas race in Austin, Texas. • Having to answer questions about how you met your supermodel girlfriend from teammates who want to have a supermodel girlfriend. • Having to keep your personal appearance on point. You don’t want to be the guy dragging the equation down. If she’s a 10, you don’t want to look like a 4. • When [a supermodel] walks into a room, I can be completely invisible. Nobody sees me at all. • If [a supermodel] asks for a table at a restaurant, she's going to get it. We’re always seated right away. Called “a true Rembrandt among gemstones,” natural padparadscha is one of the rarest and most valuable varieties of sapphire. Unlike its blue brethren, padparadscha boasts a salmon color reminiscent of the most delicate orange/pink sunset you’ve ever seen. Fans of this unusual and strikingly beautiful gemstone are in for a big treat on May 28, when an exceptional padparadscha-and-diamond ring hits the auction block at Christie’s Hong Kong as one of the top lots of its Magnificent Jewels sale. The oval, modified brilliant/step-cut Sri Lankan padparadscha weighs a staggering 73.98 carats and is framed with brilliant-cut diamonds mounted in 18-karat rose gold. Pre-sale estimates put the value of the ring at $1.03 million to $1.55 million. 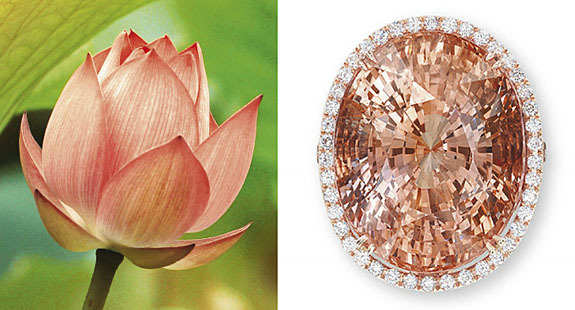 The poetically named padparadscha gets its name from "padma raga," which literally means "the color of the lotus flower" in Sanskrit. Padparadscha belongs to the corundum family of gemstones, which includes rubies and sapphires. The presence of trace elements determines the color of each gemstone. While blue sapphires are naturally colored with iron and rubies with chromium, padparadschas are colored by the presence of both. 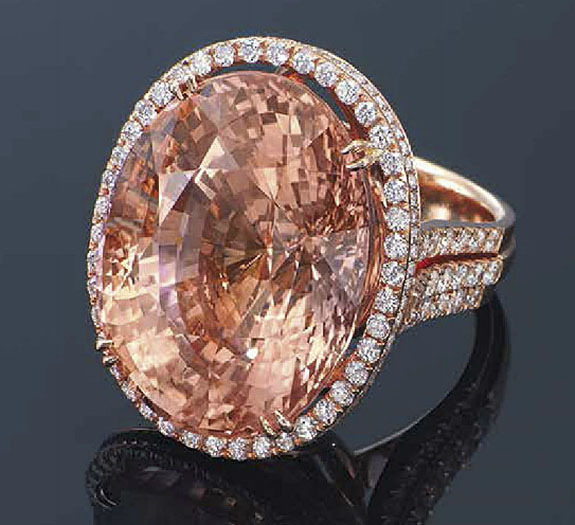 The delicate interplay of pink and orange hues make this gem one of nature's greatest marvels. 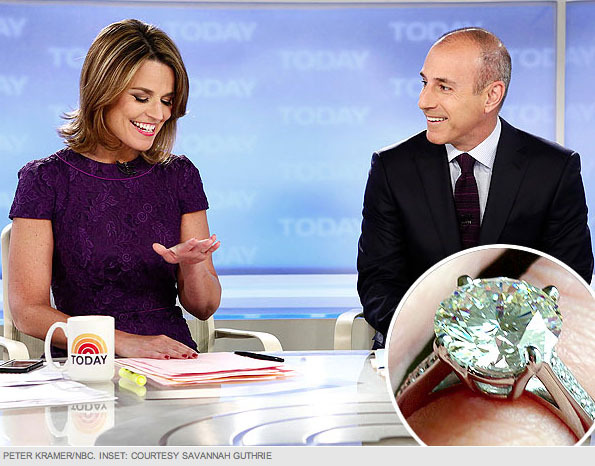 The 4.5 million viewers of "The Today Show" got a big surprise Monday morning when co-host Savannah Guthrie revealed for the first time her elegant four-prong diamond engagement ring. Over the weekend, she had accepted the marriage proposal of media consultant Mike Feldman while they were vacationing in the Caribbean. 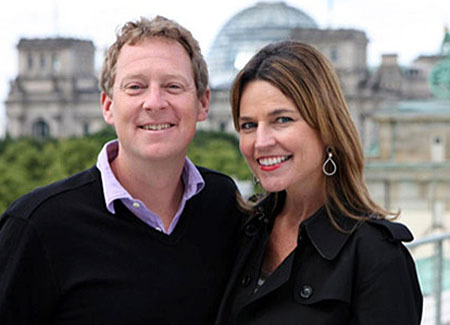 Although the couple had been dating for four years, Guthrie told her NBC viewers that she was caught off guard when Feldman nervously started to deliver his proposal. 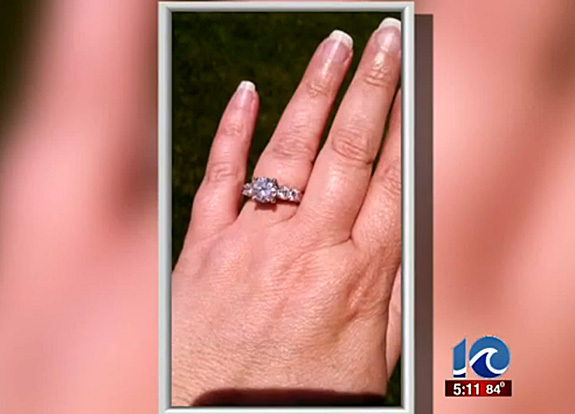 "He got on one knee and I still thought we were just talking [about getting married]," she said. And then he handed her the box. "I didn't open it for a long time," she said, "because I was just overcome." The 41-year-old Aussie, who replaced Ann Curry on “The Today Show” in July of 2012, was beaming ear to ear as she showed off her ring to a national audience. The classic setting holds an impressive prong-set round diamond center, accented with pavé diamonds on the band. The 44-year-old Feldman, who now calls himself “the luckiest guy in the world,” is a consultant who counts Al Gore among his former clients. Two high-profile stars of “The Today Show” were quick to express their excitement over the happy news by blasting photos and good wishes via Twitter and Instagram. Co-anchor Matt Lauer tweeted "Big news from Savannah!" 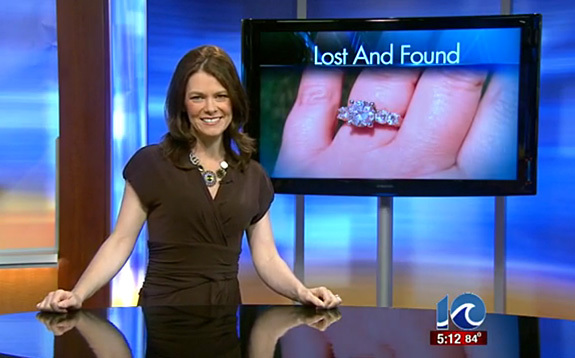 and included a photo of Guthrie modeling her ring. A breathtaking matched pair of natural pearl drop earrings from the collection of Italian starlet Gina Lollobrigida shattered a record at Sotheby’s Geneva on Tuesday when the gavel went down at a staggering $2.37 million — a record price for pearl earrings and more than double the pre-sale estimate. They were sold to an anonymous bidder. 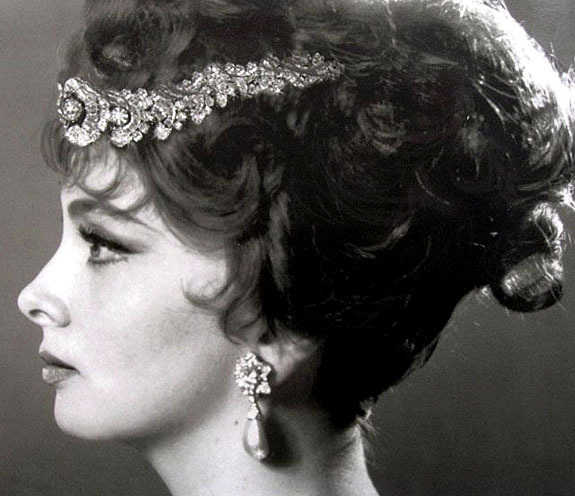 The pearl earrings, which were worn often throughout Lollobrigida's career and reputed to have belonged to the collection of jewels of the House of Habsburg, measure approximately 15.6 x 12.1 x 24.9mm and 15.9 x 13.8 x 23.3mm. 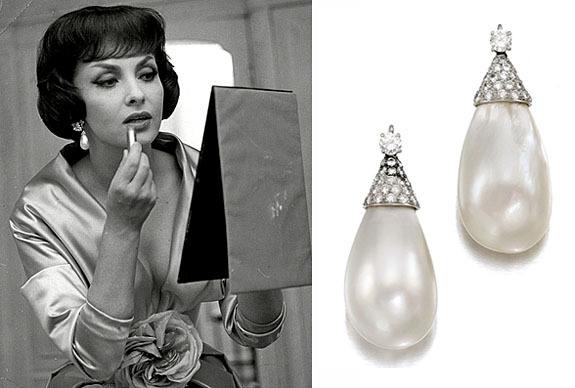 The price achieved for Lollobrigida’s earrings topped the late Elizabeth Taylor’s natural pearl earrings, which were sold at a Christie’s auction in 2011 for $1.99 million. Lollobrigida, who starred on the silver screen during the 1950s and 1960s with the likes of Frank Sinatra and Humphrey Bogart, sold her impressive collection of 23 items to raise money for stem cell research in her native Italy. In total, her collection generated $4.9 million. 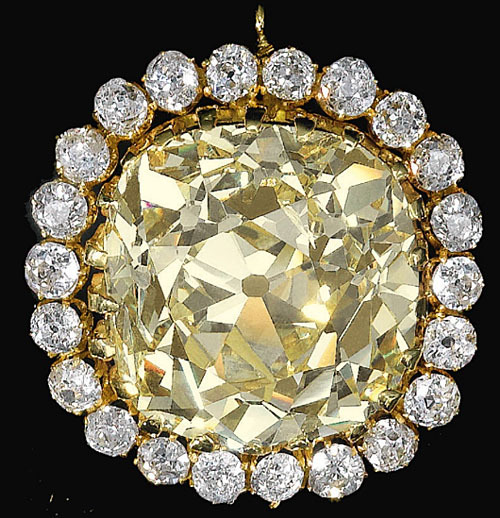 Another star of Tuesday’s "Magnificent Jewels and Nobel Jewels" auction was a 19th century 74.53-carat cushion-shaped fancy yellow diamond once owned by Ahmad Shah Qajar, the shah of Persia from 1909 to 1925 and the last ruler of the Qajar Dynasty. It fetched a whopping $2.95 million, establishing an auction record for a fancy yellow diamond and a record price per carat for a fancy yellow diamond ($40,061 per carat). The selling price doubled the pre-sale estimate. 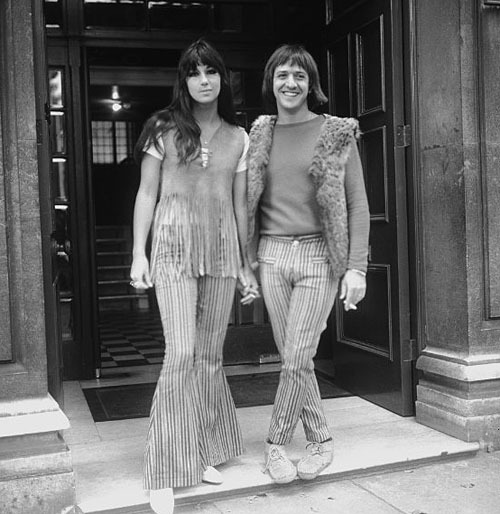 The husband-and-wife team blasted onto the music scene in 1965 with their hits, “I Got You Babe” and “Baby Don’t Go.” In the 1970s, they became household names, as they starred in two top-10 TV shows, The Sonny & Cher Comedy Hour and The Sonny & Cher Show. The couple divorced in 1975, but the breakup proved that they didn’t need one another to be successful. Cher went on to become a Grammy Award-winning solo singer and an Academy Award-winning actress. Bono eventually became a member of the U.S. House of Representatives. Sadly, he passed away in a skiing accident in 1998. What do you think 101.73 carats of “diamond perfection” is worth? 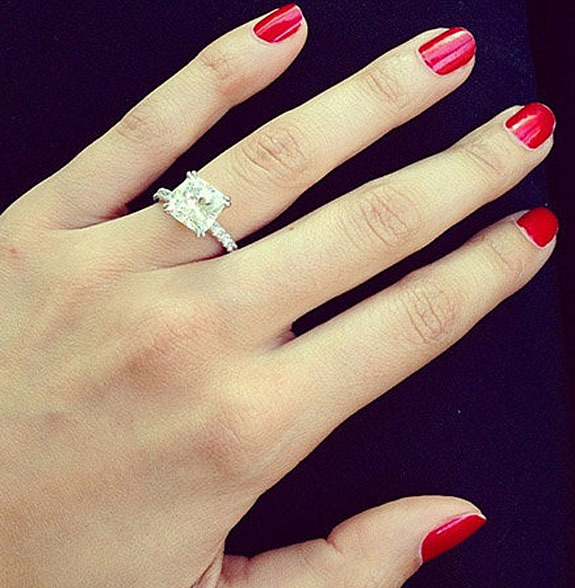 Would you believe $26.7 million (or $254,400 per carat)? That’s what the prestige jeweler Harry Winston paid last week at Christie’s Geneva for the largest flawless diamond ever to be offered at auction. The selling price established an auction record for a colorless diamond. Discovered in the Jwaneng mine in Botswana, the once-in-a-generation gem was carved from a rough diamond weighing a staggering 236 carats. According to reports, expert diamond cutters toiled on the golf-ball-size specimen for 21 months. 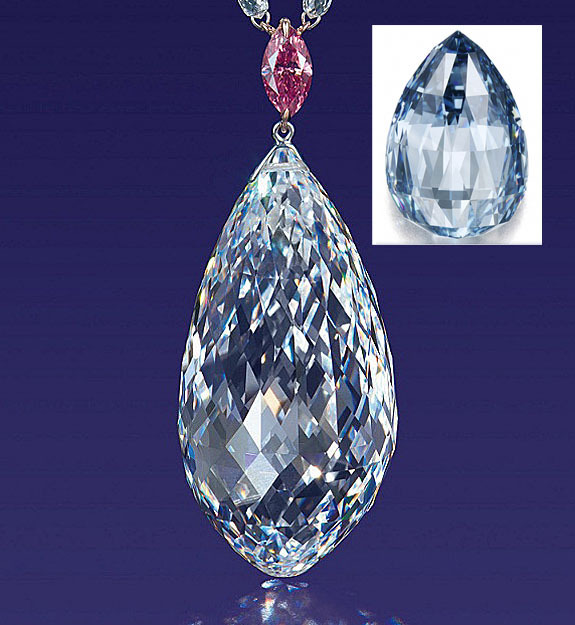 The cutters were forced to sacrifice 57 percent of the diamond's original weight to achieve a pear-shape, D-color, Type IIA flawless gem — the best ratings for color and clarity. Forbes.com reported that fewer than 2 percent of the world’s diamonds meet the type IIA criteria for transparency and brilliance. An auction spokesperson described the diamond as “ultimate perfection” and explained that it was literally “sculpted like a work of art." Three certified fancy red diamonds — the pinnacle of rarity, color and value in the diamond world — will headline Rio Tinto’s annual Argyle Pink Diamonds Tender, an exclusive sale of the mining company’s finest production. 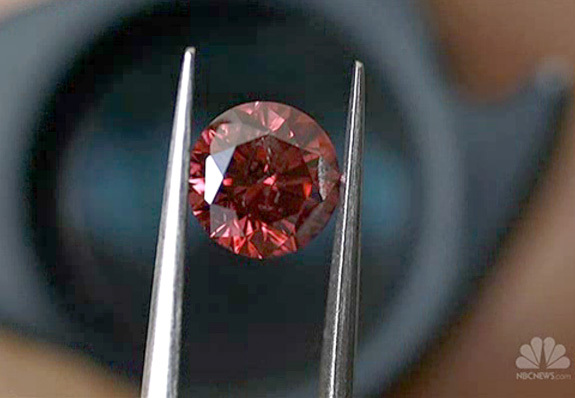 Rio Tinto’s announcement took the gem world by surprise because natural fancy red diamonds are very rarely seen. "Since mining began in 1983, only six diamonds certified as fancy red by the Gemological Institute of America have been presented for sale at the annual tender,” said Argyle Pink Diamonds manager Josephine Johnson. 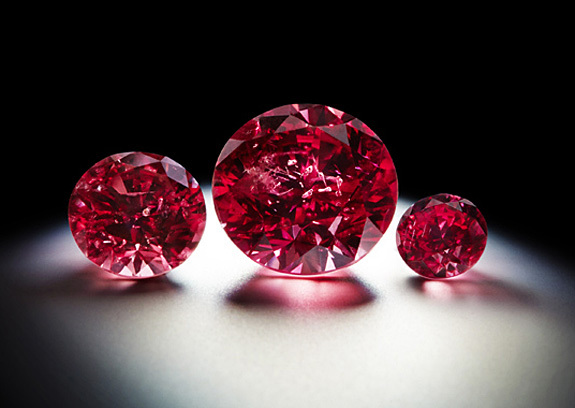 “To have three of these rare red diamonds in one tender is a very special moment in time." The highly coveted red diamonds are expected to fetch between $1 million and $2 million per carat when they are offered for sale on October 8. Argyle Phoenix™ is the largest of the three red diamonds, a 1.56-carat round gem named in honor of the newly commissioned Argyle underground mine in Western Australia. This year’s Argyle Pink Diamonds Tender of three reds, 58 pinks and three blues, is now on tour. After previews in Sydney, New York and Tokyo, tender viewings will move to Hong Kong and Perth, where bidders will be able to view the gems and make offers for individual stones. Unlike other colored diamonds – such as blue diamonds that get their color from the addition of boron in their chemical composition, or green diamonds that are impacted by natural radiation – red diamonds are not colored by impurities. Rather, their color is the result of minute defects in the crystal lattice. Welcome to Music Friday when we bring you amazing tunes with jewelry, gemstones or precious metals in the title or lyrics. “I (Who Have Nothing)” is a timeless love song that has been covered by dozens of artists, both male and female, for the past 50 years. The version we like best is performed here by none other than Sir Thomas John Woodward (better known as Tom Jones), whose powerful interpretation launched the song to #14 on the Billboard charts in 1970. The first artists to release “I (Who Have Nothing)” were Ben E. King and Shirley Bassey, both in 1963. Since then, the song has been reinterpreted by singers as diverse as Petula Clark, Luther Vandross, Liza Minnelli and Neil Diamond. More recently, a new generation of music lovers was introduced to “I (Who Have Nothing) when it was performed by American Idol Season 6 winner Jordin Sparks. 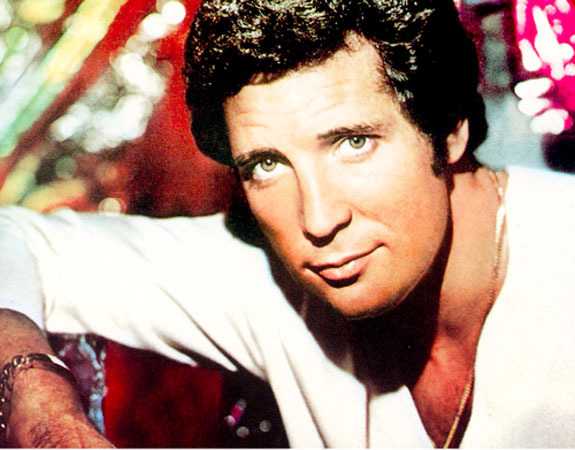 We invite you to enjoy the riveting performance of Tom Jones at the end of this post. The lyrics are below if you’d like to sing along. 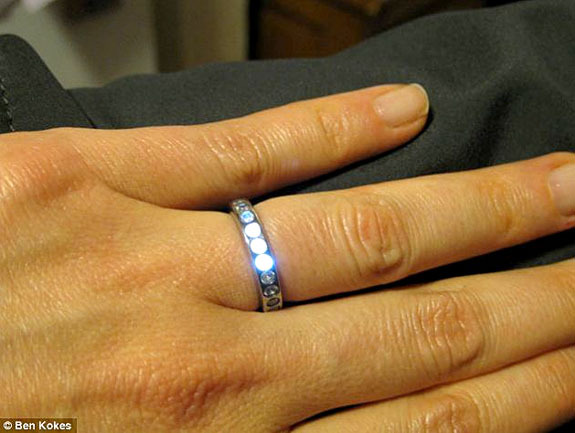 Ben Kokes, a San Francisco engineer, toiled five months to design and handcraft a titanium engagement ring whose stones light up on his fiancée’s finger when he’s close-by. Named “Project Longhaul,” the ring's journey from design to fabrication was a super-challenging labor of love for the brainy 36-year-old romantic. "Once upon a time, a boy met a girl. Then a short amount of time later, the boy decided to design and build a ring for the girl, because doing things in the most complicated way possible is just what he does to show the love. This is that story." The website offers a blow-by-blow description of how Kokes worked through every technical challenge of the design and manufacturing process. The site features more than 40 photographs, illustrations, diagrams and videos. He explains on his site how the stones are backlit by tiny LEDs, which are powered by a coil of copper built into the body of the ring. The coil generates energy when it is exposed to an alternating magnetic field. A wrist-mounted device that Kokes could wear on his wrist or conceal in a pocket supplies that field. 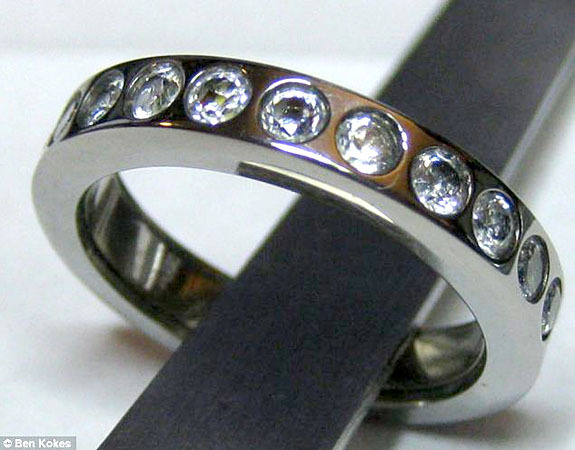 When Kokes proposed to Julie Nicolai in mid-May with the high-tech titanium ring, the stones lit up right on cue when came within four inches of his bride-to-be. Nicolai was so impressed with the ring that she didn’t let him finish his proposal speech. Thanks to the help of his entire family, Aaron Wike delivered a super-creative marriage proposal that won the top prize in TheKnot.com’s national competition. Wike and fiancée Casey Cummings learned on Friday that they will be collecting a $10,000 prize package, which includes $5,000 toward a designer bridal gown, $2,500 in luxury stationery and $2,500 in cash. 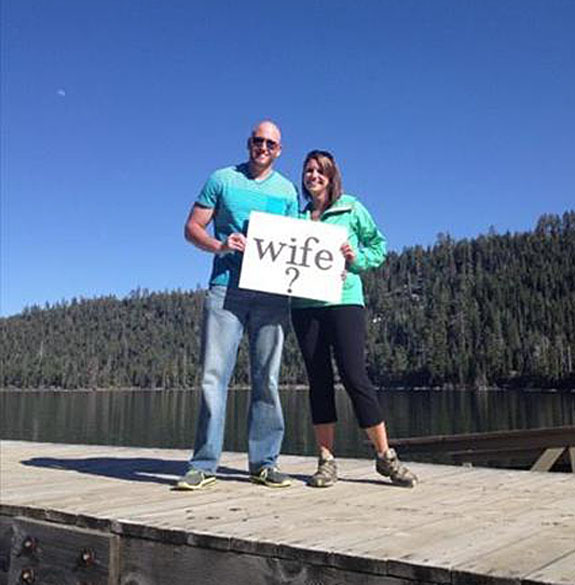 The Reno, Nev., couple titled their top-rated entry “A Trip Down Memory Lane.” The proposal took place at Lake Tahoe, where the couple often spends time hiking and enjoying nature. On the afternoon of April 21, Wike and Cummings were set for another great hiking adventure, but Wike had a few surprises in store. The couple had just started their hike when Cummings spotted an envelope hanging from a tree. She opened the envelope to find a photo of a bar from their hometown. The note read, “Where we first met." Explained Cummings, “We continued down 'memory lane' opening more and more memories of our dating life, including the place where we first said, 'I love you.'" When they got to the bottom of the trail, Wike presented Cummings with a card that read, “They say that when you marry someone, you marry their WHOLE family, so Casey..."
This is when Wike’s entire family joined the proposal. As the couple followed the path and turned each corner, different family members held cards asking Cummings to be their daughter-in-law, sister-in-law and auntie. Wike got down on one knee and asked Cummings to marry him. She said, “Yes." The family and random beach-goers joined the happy couple with congratulations and cheers. The editors of TheKnot.com picked the couple’s entry to be a finalist from among nearly a thousand entries. Then the readers of TheKnot.com voted for the winner from the five finalists. “A Trip Down Memory Lane” won the contest with more than 7,000 votes. 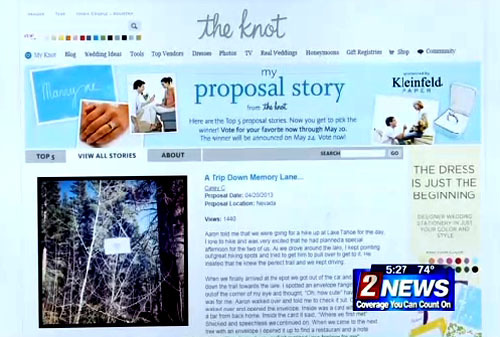 It didn’t hurt that Wike’s proposal caught the attention of a Reno television station, which encouraged viewers to vote for the couple’s proposal at TheKnot.com’s website. 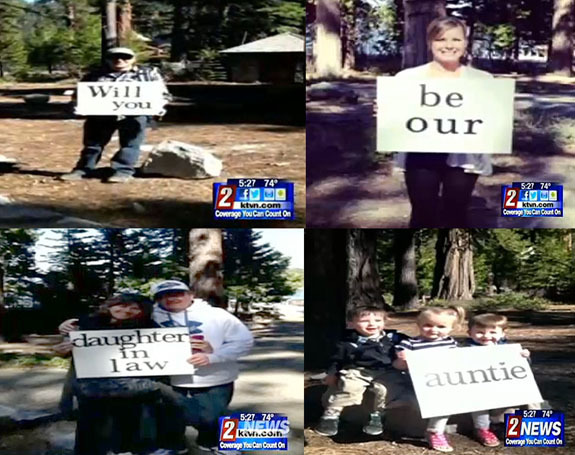 The couple will marry at Tahoe this summer. 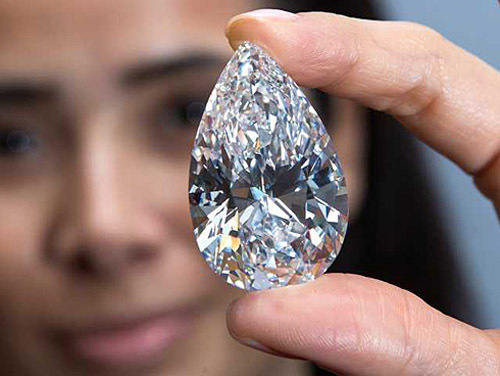 The largest flawless briolette diamond ever to appear at auction set a new record last night when an anonymous bidder paid $11.1 million at Christie’s Hong Kong, Reuters reported. The 75.36-carat, D-color gem narrowly edged out the previous record holder — a 10.48-carat fancy deep-blue briolette diamond that sold at rival Sotheby’s for $10.8 million this past November. Despite the record, the briolette diamond failed to reach its pre-sale high estimate of $12.5 million, but easily surpassed the pre-sale low estimate of $8.5 million. 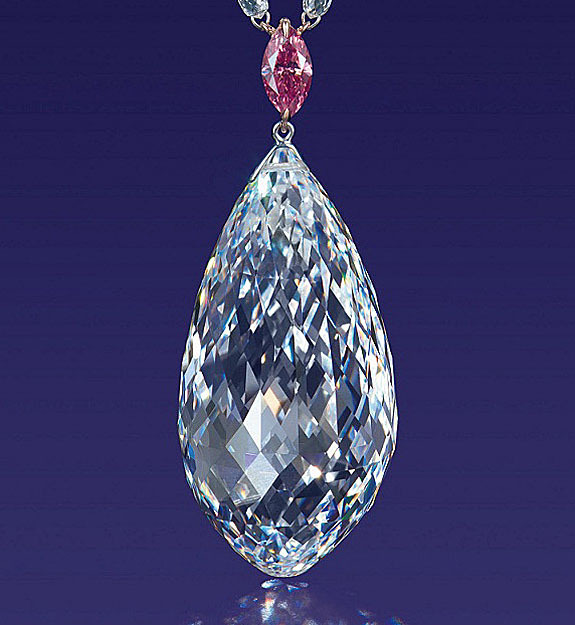 With a symmetrical shape that resembles a water drop, the 75.36-carat briolette dangles from an elaborate pendant necklace that has a marquise-cut purplish-pink diamond suspended above the briolette. Stations of smaller briolettes adorn the 18-karat white and rose gold adjustable neck chain. An auction spokesperson described the diamond as “perfect,” and backed up that assessment with a Gemological Institute of America evaluation that rated the stone Type IIa, the GIA’s top quality grade. In order to achieve this exceptionally rare premium rating, cutter William Goldberg started with a 160.5 carat rough diamond and sacrificed more than half the stone’s weight in a painstaking and meticulous cutting process. 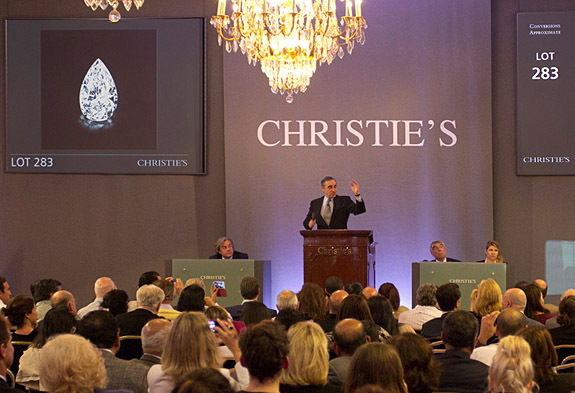 The sale of the flawless briolette was part of Christie’s Hong Kong Magnificent Jewels sale on Tuesday, which featured more than 290 lots and generated a total of $82.9 million. “Then I hear this clink,” Remple told The Province. The $3,000 ring had slipped through his fingers, bounced once on the pier and then disappeared through the boards and into the sea. The 25-year-old Langley, B.C., man was devastated. “I just sat there for a second in disbelief,” he said. 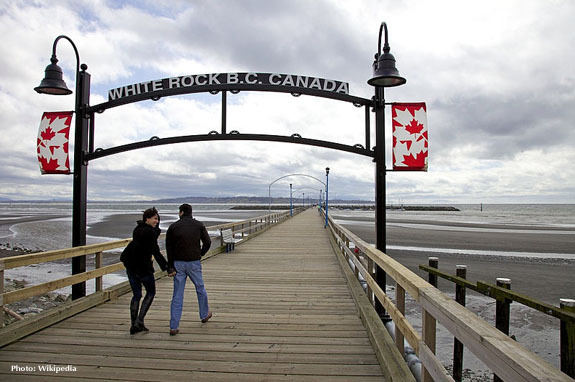 Remple explained to his girlfriend of two years that her engagement ring had just fallen into the water beneath the pier, putting a damper on his well-intentioned surprise. The 22-year-old Hodge reassured him that it was just an unfortunate accident. Now he had to figure out how to save the ring. “I wasn’t going to let it go,” he said. Once he composed himself, Remple got to work. He drove to Walmart, where bought a pair of goggles, a towel and an underwater flashlight. He quickly learned that the water in British Columbia in the middle of May is a bit too chilly to navigate without the proper gear. Next, he contacted a friend, who was a scuba diver. But he didn’t have air tanks and couldn’t stay underwater long enough to find the diamond ring. A few days later, Remple and Hodge returned to the pier at low tide to scour the breakwater with a metal detector. Still no luck. 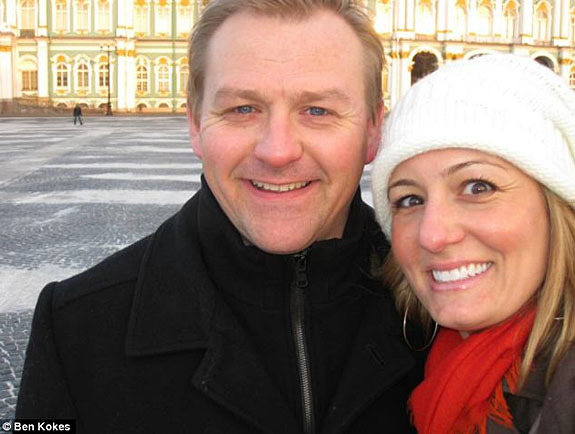 The couple was about to give up the search, but Remple said he had to give it one more shot. “I had to give it everything I had,” he told The Province. In a last-ditch effort, he called his father’s best friend, Robert MacDonald, who works as a port inspection diver for the Canadian Forces. When MacDonald learned of Remple’s dilemma, he quickly gathered his scuba gear and headed for the pier. 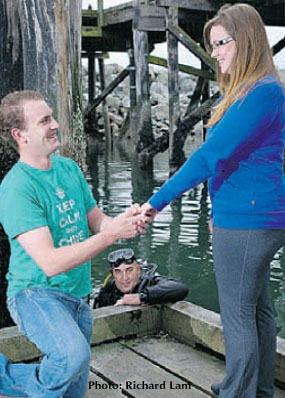 With a visibility of barely one foot, it took the experienced diver about 45 minutes to spot the ring resting on a rock about 15 feet from where it had slipped through the pier. 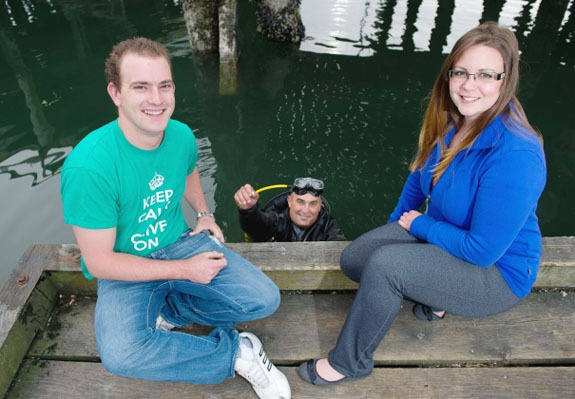 Hodge told The Province that her fiancé’s perseverance in finding the ring — especially diving in the freezing water with no gear — was as romantic as it gets.